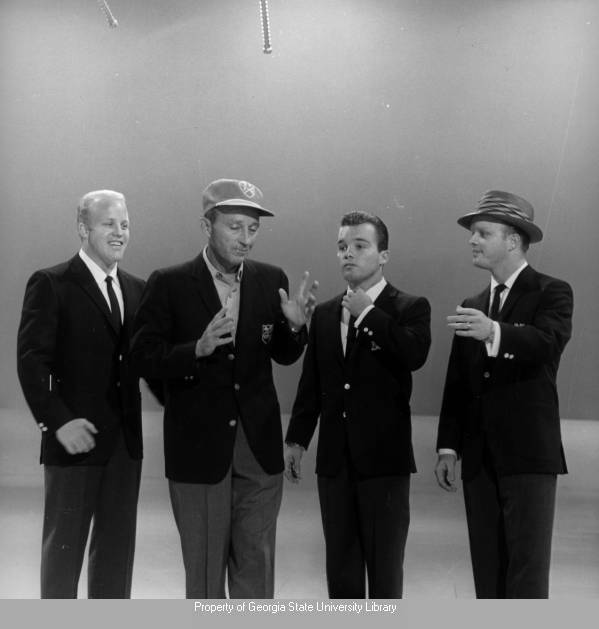 Any fan of singer Bing Crosby or even anyone acquainted with his work or life know that the sons from his first marriage had a hard time in adulthood. 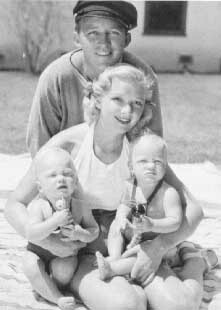 Being the son of Bing Crosby, especially during the height of his fame in the 1940s and 1950s, was very hard. 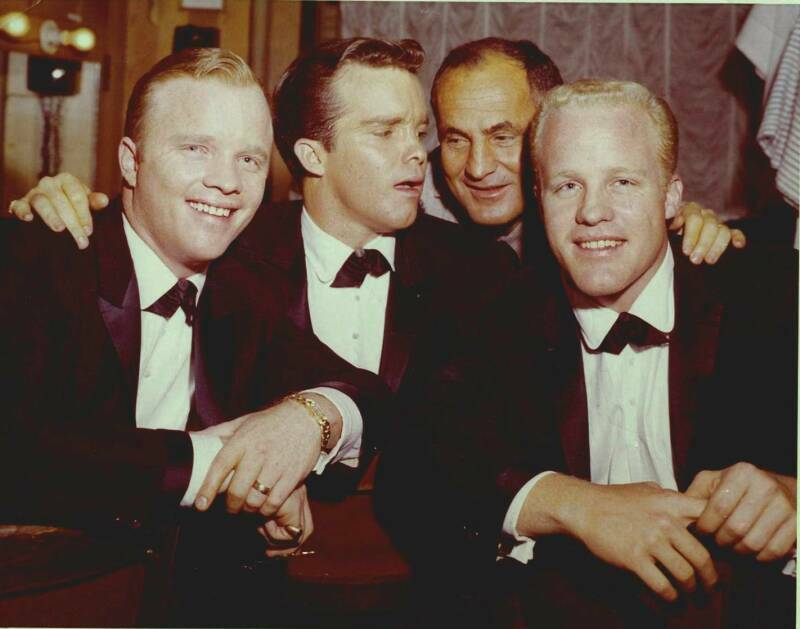 The four boys that Bing Crosby and Dixie Lee had all had tough lives. They had their personal demons that they dealt with - and unfortunately only one of the sons seemingly overcame the demons. Sadly, even though Phil Crosby overcame the turmoil of being the child of a superstar, he died in 2004 at the relatively young age of 69. 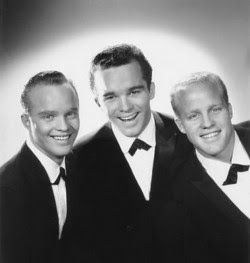 Born on July 13, 1934 - Phillip Crosby and his twin brother Dennis Crosby were born in Los Angeles, California. After attending a strict, Jesuit-run boarding school south of San Francisco, Phil served a stint in the Army in the mid-1950s and attended what is now Washington State University in Pullman, where he was a guard on the football team. Chuck Morrell, the team's star fullback who shared a house with Crosby at the time, recalled that when Philip needed a car in college, his father had a driver deliver him a brand-new Chevrolet. "He wasn't snooty or anything," Morrell, who remained lifelong friends with Crosby, told The Times on Friday. "He was a good, friendly guy and everybody liked him. You wouldn't know he was Bing Crosby's son." Like his other brothers, Phil never succeeded in entertainment like his father did. 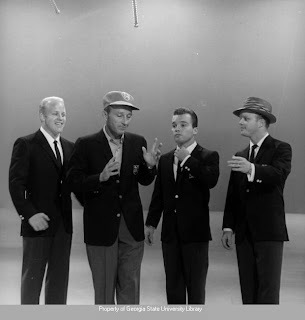 Phil sang with his brothers in an act for awhile, but the group broke up as rock 'n' roll took its hold on audiences. Phil appeared with his father in a couple of movies like "Duffy's Tavern" (1945) and "Robin And The Seven Hoods"(1964), and he had more substantial roles in dramas like "Sergeants 3" (1962) and "None But The Brave"(1965). Phil appeared as a solo singer on The Ed Sullivan show in the late 1960s where he sang a great version of "Let There Be Love". He also appeared with papa Bing on a Hollywood Palace show on April 5, 1969 where he sang with Bing and recreated the songs that Bing and brother Gary had recorded 15 years earlier. Phil also later started a country music label named after his mother Dixie Lee, and recorded some great country western songs. 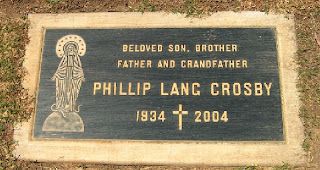 Like his brothers, Phil Crosby was also married numerous times. He was married four times and had five children - his youngest son, Phil Crosby Jr, is an accomplished musician and singer - who is quite talented in his own right. I recently talked to Phil Jr. and he said that his father should be remembered as "a loyal son, who loved and admired his parents very much. He had a great voice that was unique amongst the Crosbys. He had many friends that appreciated even his late night calls and would receive them and talk for hours and considered him a good conversationalist." On October 14, 1977 Bing Crosby died. Tragedy struck Phil again a year later when his oldest son Brian Patrick Crosby was killed in a motorcycle crash at the age of 18. Phil remained on good terms with his brothers after Bing died with the exception of Gary. Phil has been quoted as saying that "My dad was not the monster my lying brother said he was, he was strict, but my father never beat us black and blue and my brother Gary was a vicious, no-good liar for saying so. I have nothing but fond memories of dad, going to studios with him, family vacations at our cabin in Idaho, boating and fishing with him. To my dying day, I'll hate Gary for dragging dad's name through the mud." Phillip gave his final performance at an Elk’s Club party in Burbank in 1983. Phil's youngest brother Lindsay died in 1989, and his twin brother Dennis followed in 1991. (Gary later died in 1995). Despited outliving his brothers, son Phil Jr said his father's health was not good: "His last years were not good. His death could have been avoided if anyone had looked in on him and saw to it that he was taking his prescribed heart medication. But he had pretty much insulated himself and become a shut-in." There has been rumors through the years that the Crosby boys from Bing's first marriage did not get along with Kathryn Crosby and Bing's second family. Phil Jr wanted to settle the record on that: "My father never spoke ill about Kathryn, that I know of. I don't believe he blamed her for not being in his Fathers will. She was very congenial to me when I met her, introducing me from the stage at Bing's Academy Centennial and standing by my side holding my hand at my fathers funeral. I thought that was very good of her. She also told the audience in Beverly Hills that she thought Phil had the best voice of the boys." 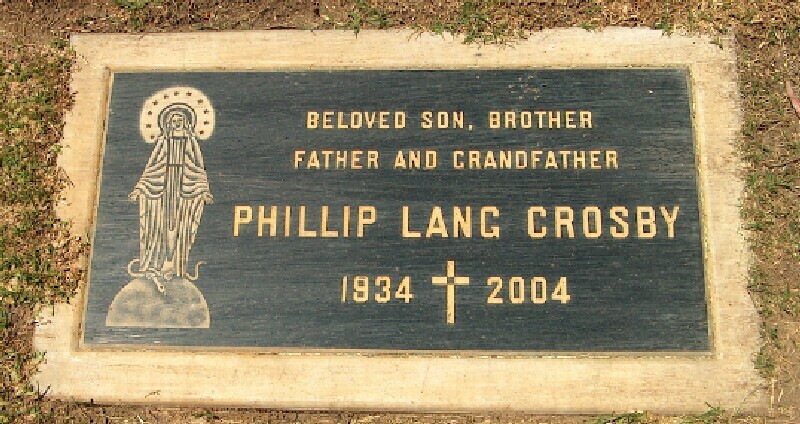 Even though Phil Crosby did not get the fame that I think he deserved, he passed down a lot of talent to his youngest son Phil Jr, who is carrying on the Crosby legacy in music. Phil Jr says that "growing up Crosby was a unique experience. I enjoyed watching the road pictures and every Christmas was a little more special for me. Sometimes it could be strange when I was little and didnt understand peoples reaction to my last name, though."